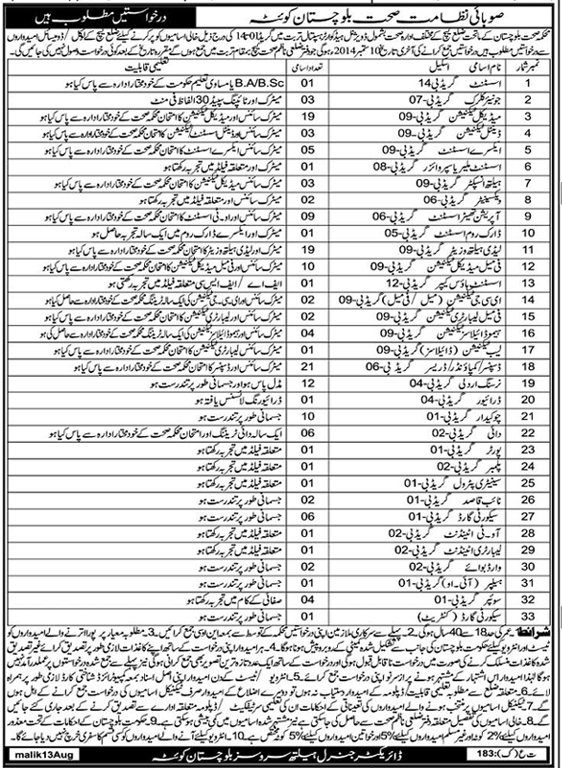 PRCS announced several jobs for Balochistan, find details of all vacancies in given bellow news cutting. 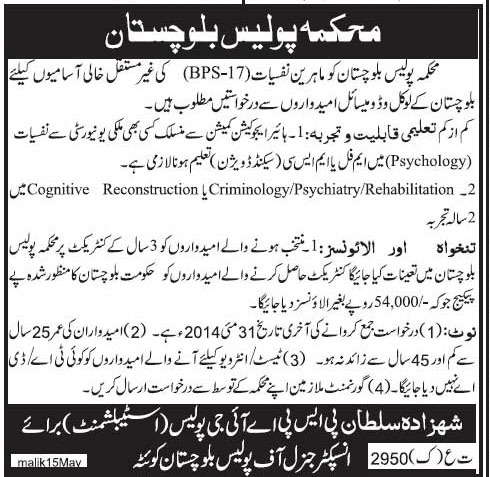 Balochistan Police is seeking jobs for Psychologist / Psychiatry officer. 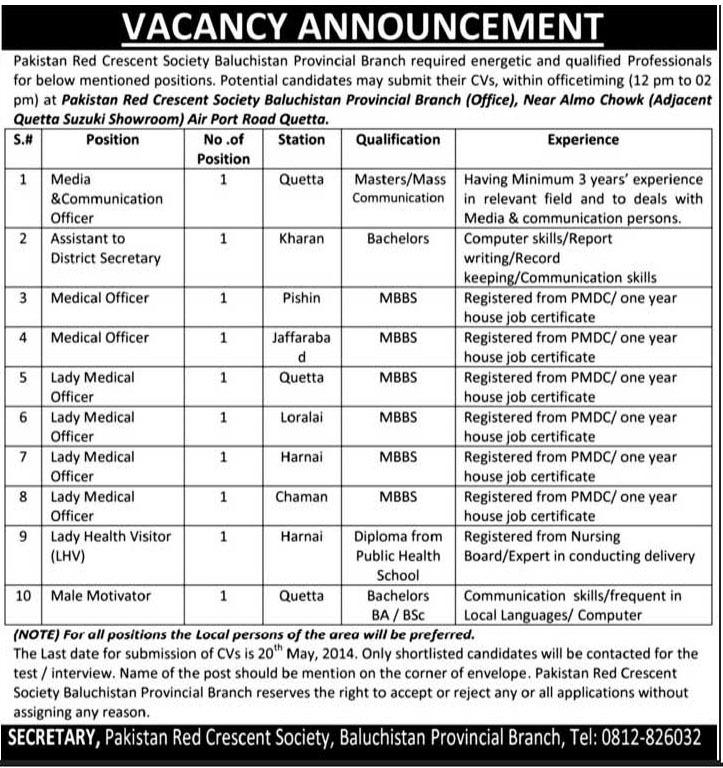 Pakistan Red Crescent Society Balochistan Provincial Branch required energetic and qualified professional for bellow mentioned positions. 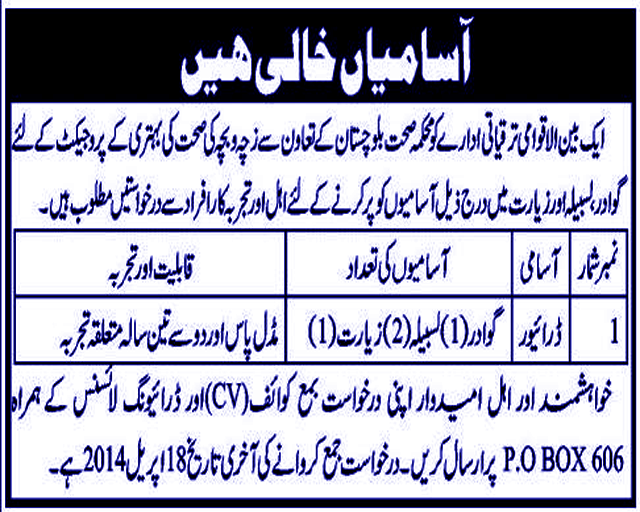 These Job Opportunities are for district Quetta, Kharan, Pashin. 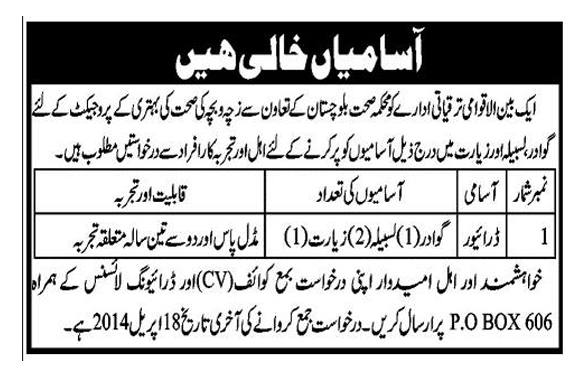 Jaffarabad, Loralai, Harnai and Chaman. 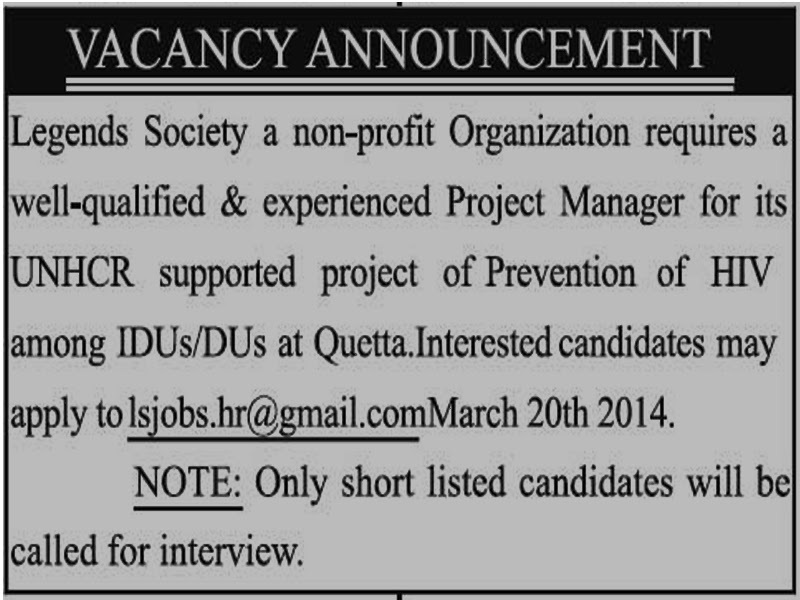 An International health organization is seeking for following jobs in Balochistan. 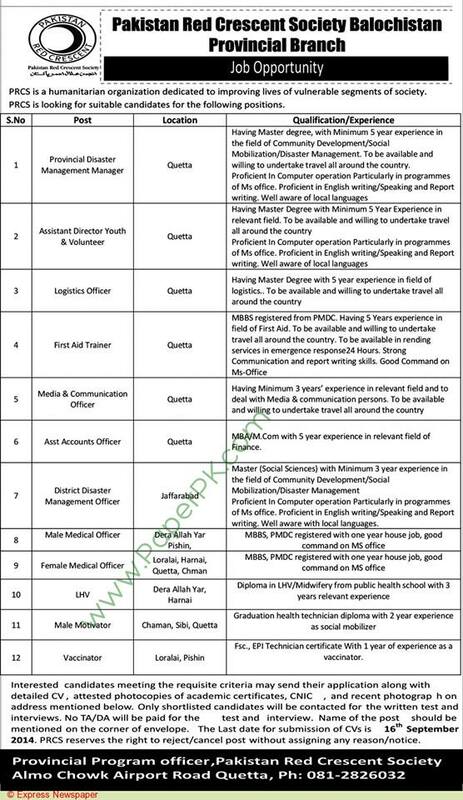 Quetta, Gwader, Panjgoor, Mastung, Killa Abdullah, Chaghi, Kalat, Lasbela, Washuk, Zhob, Sherani, Barkhan, Lorlai, Dera Bugti, Sibi, Nasirabad, Jaffarabad, Jhal Magsi, Kachi (Bolan). 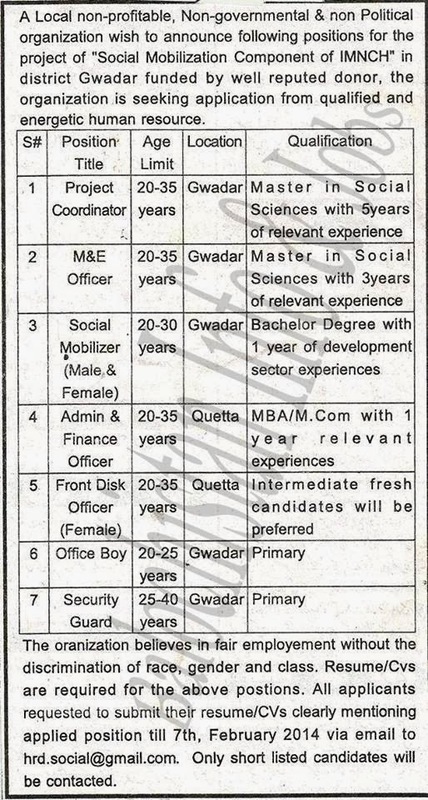 Jobs in Following Departments / Organizations in Balochistan. 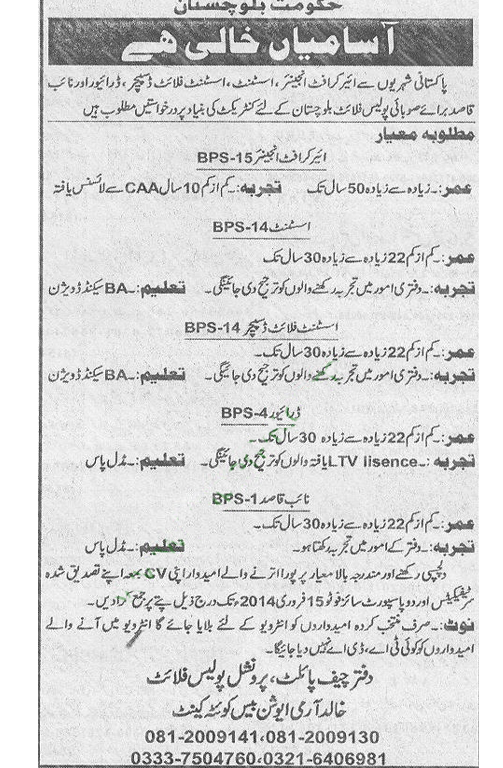 Read out bellow cutting for more details. 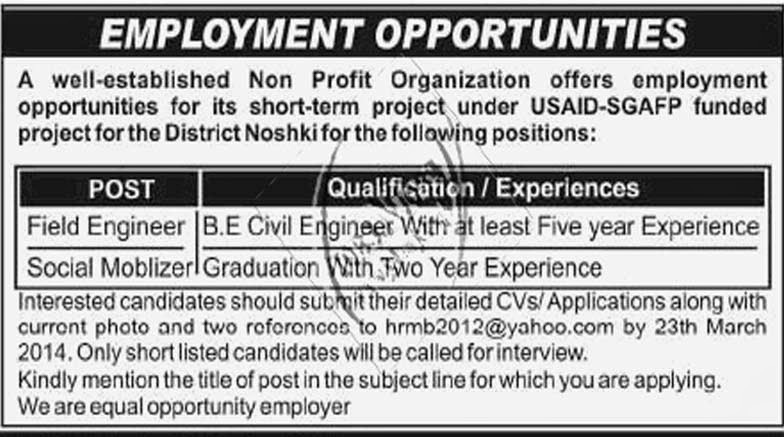 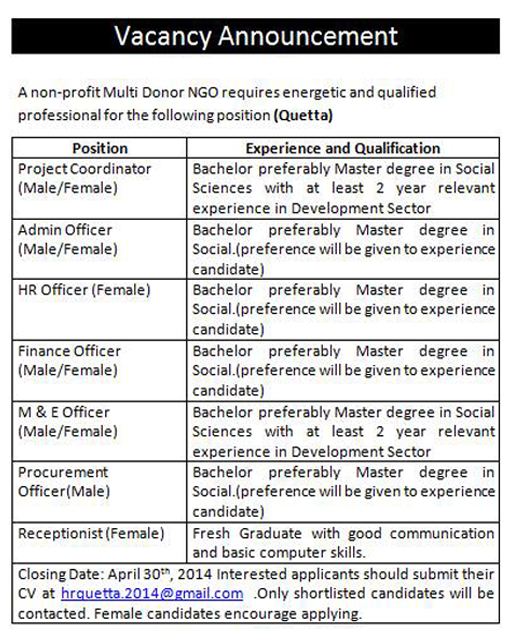 A local NGO annouced several jobs for district Quetta and district Gwader, go through bellow cutting. 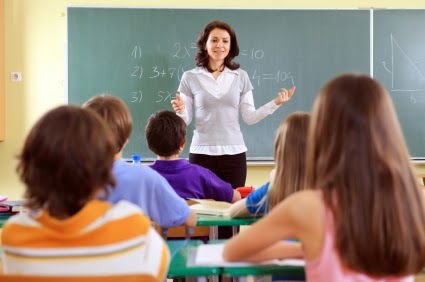 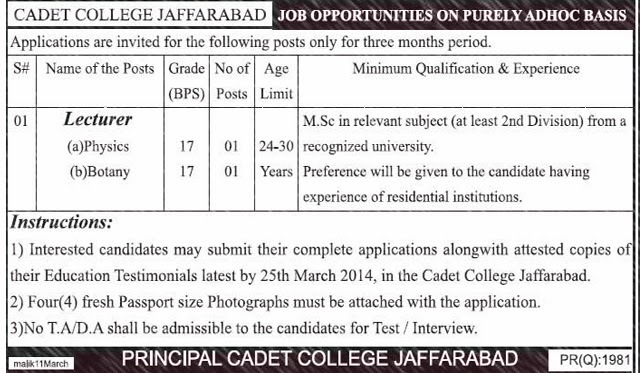 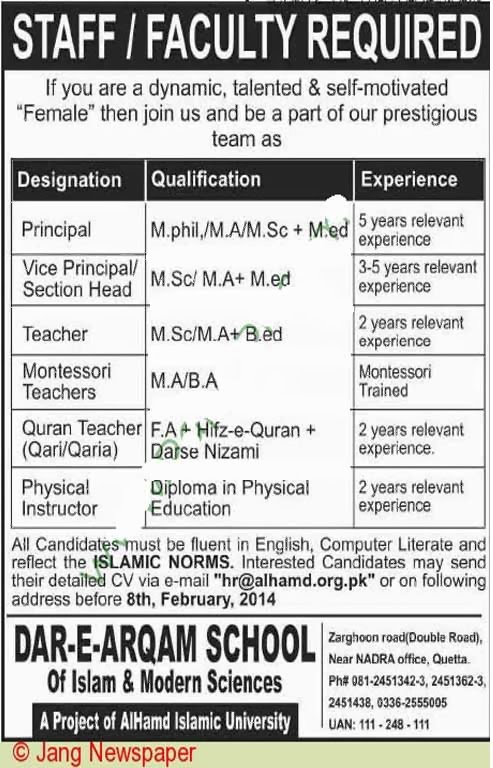 Applications from suitable qualified and experienced teachers are required. 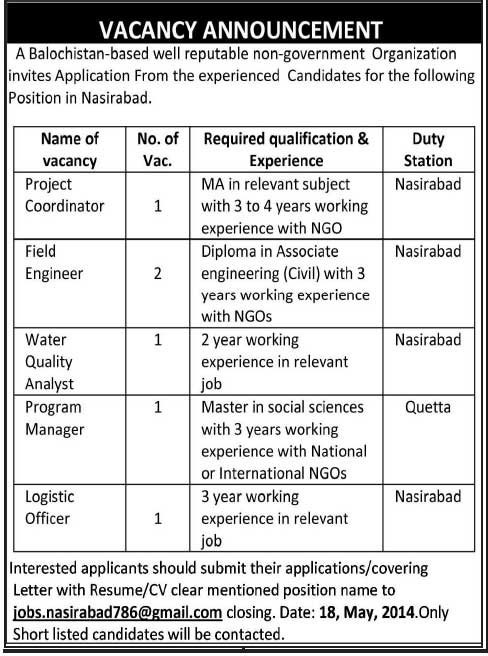 Handsome salaries will be offered.